3.46 ACRES OF VACANT COMMERICAL LAND. Prime Location to Build Your Commercial Building/Plaza. Professional, Retail, Hospitality or Restaurant. 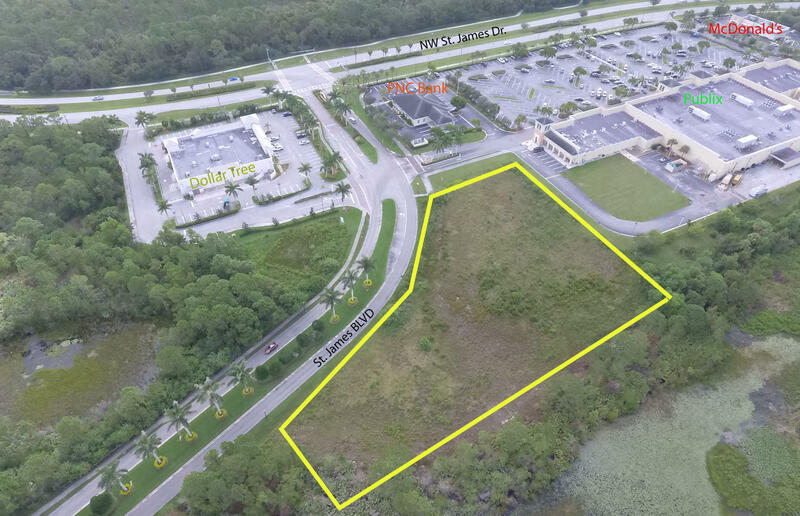 Site Offers Consistent Traffic via St James Blvd located at the Entrance of the St James Publix Plaza. Located Near 3 Prominent Gated Communities. See Documents for Planned/Approved Usages for Land Per the City. Excluded Usages Include Nursing & Convalescent Homes, Automobile Repair and Sales. Buy with beycome and we refund you an estimated of $24K at closing!